Trondheim is tiny – at least to someone who lives in the shadow of London. So it was eye-opening for me, over four short days, to immerse myself in the fully formed tech scene of a region with a population 2% of that of London’s. Ocean labs and towing tanks are used for simulating conditions at sea, for example, oil rigs in the ocean. Yes the tanks are bigger than swimming pools. Yes they could generate all sorts of waves. No we couldn’t swim in them (or take selfies for that matter). Floating wind turbines – I heard about them first here – harnessing wind power in the deep sea, amazing! Cavitation tunnels – first the science lesson: air bubbles under pressure actually boil at low temperatures, causing implosions aka cavitation – how great is that? So great, I’m linking to this video again so you don’t miss it. Well, actually it’s not so great for badly designed propellers. Luckily this can all be tested for in a cavitation tunnel. The icing on the cake for the visit was hearing about the plans for a bigger and better ocean space centre, opening in 2020 (assuming the politics all works out as planned). Who knows what else the great depths have to offer mankind? So this visit was the second site visit of the Eclipse Science Working Group (SWG). There are some great write-ups about it here and here. The summary was that it was really well organized and the global group came together to pinpoint where our focus will lie over the upcoming months. With everyone arriving at consensus in good time, there was time to spare indulging in fottur (hiking) in the beautiful Trondheim hills. 2015: Towing tanks, Trondheim: OK, we’re gonna need data structures, visualisation & scripting – go! I’m excited to get to the next chapter. An Eclipse Mars Democamp was held at the offices of Itema AS. 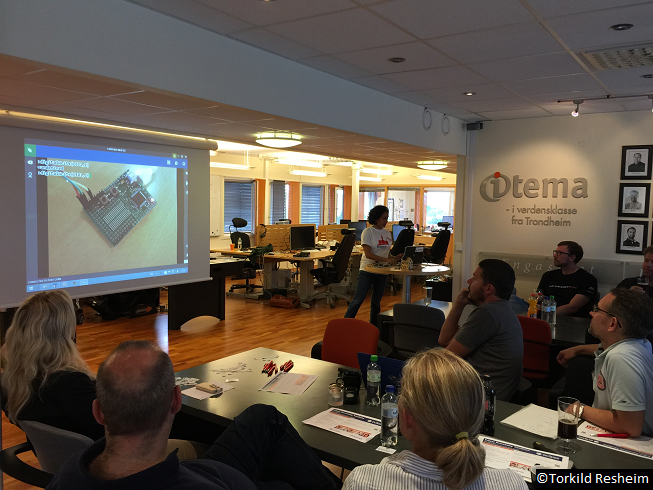 Itema are regularly named in the best employers in Norway and it was easy to see why from looking around and learning how they operate (and that was even before I got to the beer in the fridge and ice-cream in the freezer). It was a highly enjoyable democamp, not surprisingly featuring members of the Science Working Group including demos of DAWN and OpenChrom. I had a chance do my Espruino talk & demo which is always great fun. There was also a talk on building IoT in Eclipse from Anne Nevin of Bitreactive, who later wrote a nice post about the event. In was a lovely varied programme, featuring a mix of IoT, Science, a bit of cloud and lots of Eclipse. There was lots of delicious food & drinks and an international audience with both Eclipse users and non-users alike. 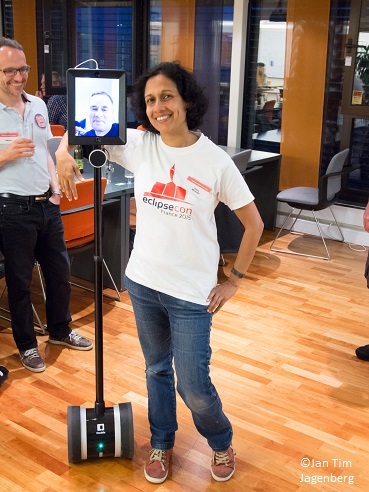 It will be something we try to emulate in the UK as we host our first Eclipse Night London. And at the very least I’ll be borrowing the idea of the Kahoot quiz at the end – a great way to round off the evening. It was no accident the meetings were all scheduled for the same week as the Trondheim Makers’ Faire and I was fortunate enough to experience one day of it. As it turns out that day was the day all the kids went, and when I say all I mean, every single one. It was great to see so many youngsters out and about and engaging in technology and making in various forms. 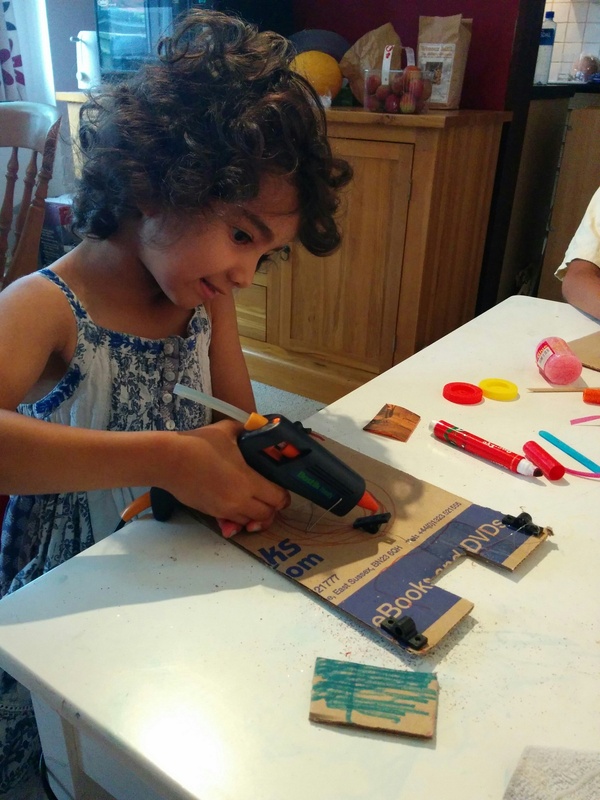 the augmented reality sandpit and the stall in general from the Hackheim makerspace. the giant marble maze – ok I have it on good authority this was meant to be controlled from a balance board – but that wasn’t working. Nevertheless it was still fun to do manually – and watch how much better the kids reflexes were. 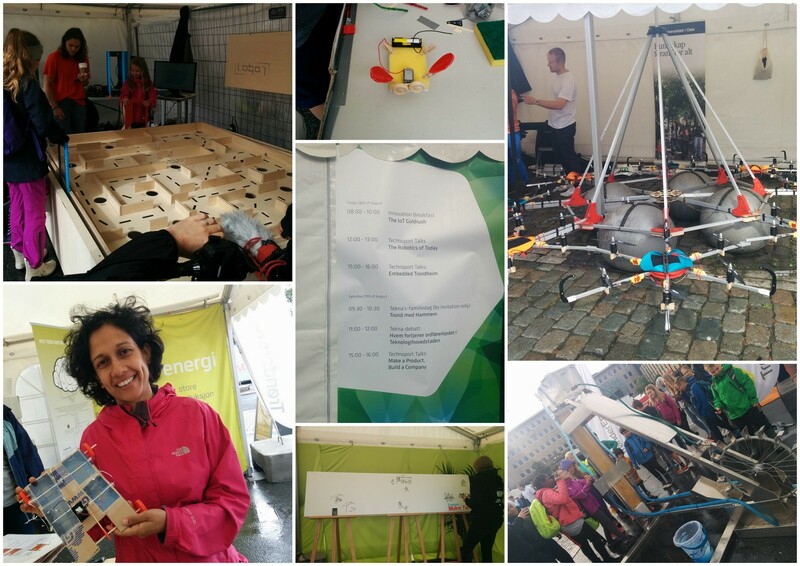 making solar powered cars at the Trondheim energy tent. At first I just watched as kid after kid made one, but I eventually I couldn’t resist having a go. I had to fight off many little girls to get a seat at the table and it was great fun, not to mention chatting with the organisers about the latest on the tech scene in Trondheim. The best bit was when those same lovely folks at the stall gave me enough kit to take it home and recreate them with my own little ones. That’s an awesome writeup Tracy! You should consider syndicating your Eclipse-related blog posts to Planet Eclipse (http://planet.eclipse.org/planet/). Simply file a request at the Eclipse Bugzilla and maybe tag your related posts with “Eclipse”. Thanks, great idea – I’ll look into that. 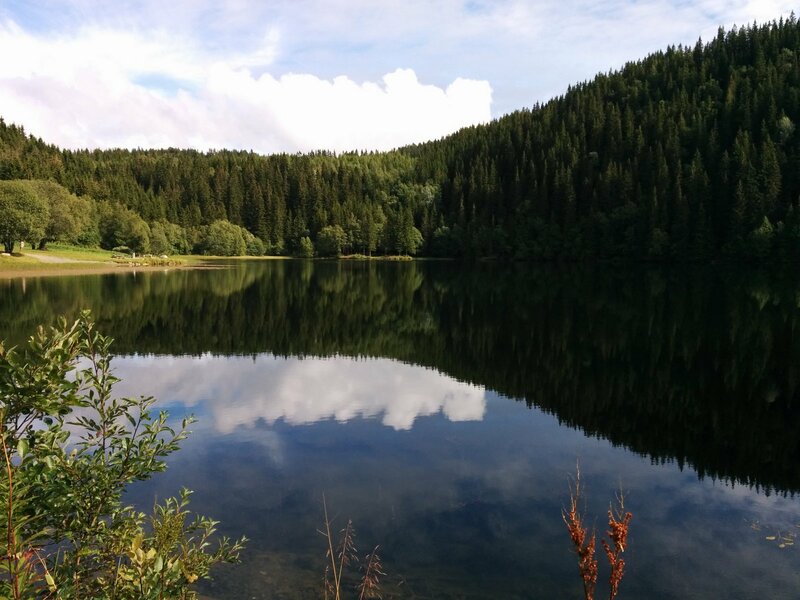 Nice write up Tracy – Trondheim really is an attractive city. Can I be nosey? 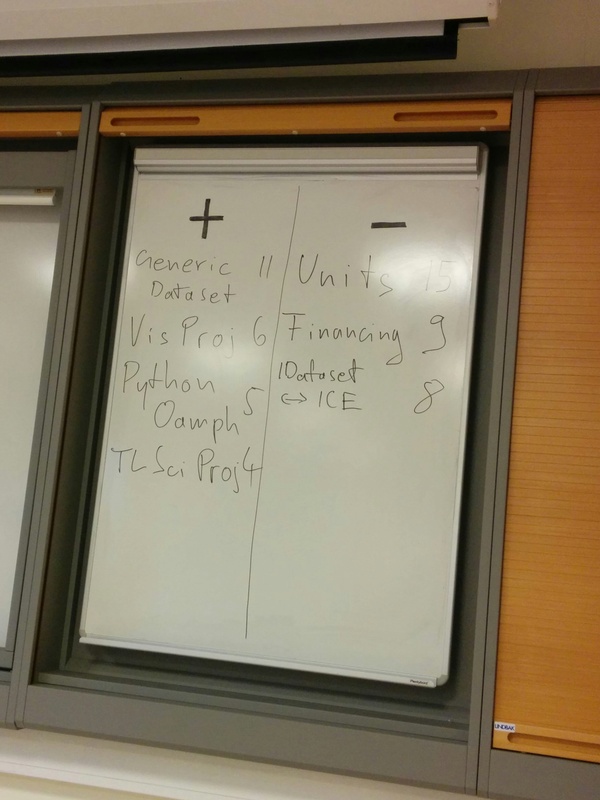 The whiteboard image shows a scored list of technologies with scores arranged into +/- columns. Was that the result of the community coming to conclusion on development strategies? Can you remember what the conclusions were? Yes, the whiteboard reflects the results of an agile style retrospective used to summarize where attendees thought were the areas the SWG was progressing well and which needed more attention. As far as development strategies those are unfolding now for datasets, vis project has a proposal & plan being spearheaded by Oakridge and we are leading the charge on Python with a target date of early Nov to have a roadmap for delivery, timescales. Previous PostPrevious Is Your Open Source Community Still Telling Newbies to RTFM?